In this article, I am going write step-by-step guide for how to Pin a Program to Start menu via GPO. 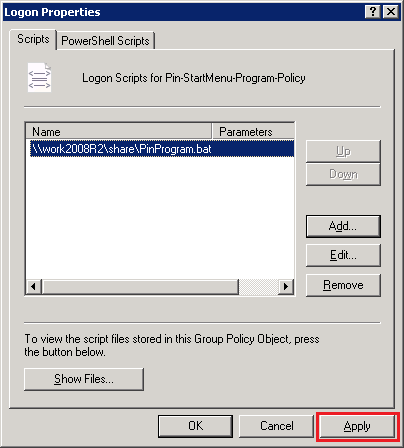 There is no direct Group Policy Preference setting to Pin Items to Start menu via GPO for all users. We are going to achieve via Logon Script. before start to read, pleas click to download vbscript: Download PinItems . Here, I have explained two processes, Pin a Program to Start menu in Local Machine and Pin a Program/Item to Start menu through GPO for all users. 1. Click to download the vbscript file PinItems Download PinItems. 3. Now run the following command in Command Prompt to Pin MS Paint Program to Start menu. 4. Then go the Start menu pinned items location : %APPDATA%\Microsoft\Internet Explorer\Quick Launch\User Pinned\StartMenu and you could see the shortcut icon for paint program. Note: Here, you can replace your own program's exe path that you are going to pin it in Start menu. Ex: Use the below command to pin uTorrent in Start menu. After read the above steps, you may guess what we are going to do to Pin a Program/Items to Start menu via Group Policy. We are going save the above commands in a script or batch file and run through GPO's logon script to Pin a Programs to Start menu for all user's computer. 3. Open new Notepad file, copy the below command and paste in Notepad. 6. Open the Group Policy Management console by running the command gpmc.msc. 9. Now right-click on the newly created GPO Pin-StartMenu-Program-Policy and click edit. 10. 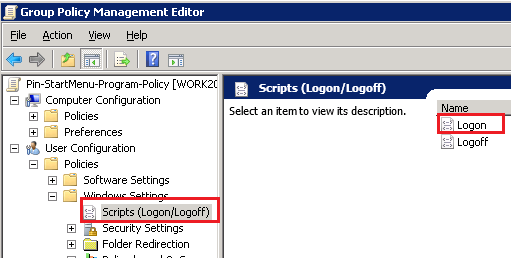 Go to the settings Scripts under User Configuration (User Configuration->Policies->Windows Settings->Scripts(Logon/Logoff)). In the right side pane, click Logon. 11. Add the batch file path \\work2008R2\share\PinProgram.bat in logon Script Name and click OK.
12. Click Apply to apply Logon Script settings. 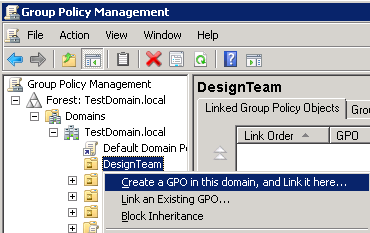 13.Run the command gpupdate /force to apply gpo to all the users under the OU DesignTeam. Now, you have configured new GPO to Pin a Program/Item to Start menu via GPO in all user's computer. when a user login, this script automatically run and Pin programs to Start menu. Same for me it's not working! This doesn't work for me either when called from GPO, but works okay when run manually with the user logged in. I think this script uses verbs, which have to run in the explorer shell. A timing problem maybe? I have tried every possible permeation I can think of in terms of script location, folder permissions etc. I wonder if the batch file is being called too early and the logon process hasn't progressed far enough - I also seem to remember something about logon scripts called from GPO running with machine permissions. Dunno - all I know is that it doesn't work for me from group policy. I know this is quite old but I have just implemented this with GPO on Server 2012 R2 and it works fine. However, the instructions for creating the PinProgram.bat has an error. The path to the PinItems.vbs needs to be the path to NETLOGON location of the script e.g. \\\SysVol\\scripts\PinItem.vbs. Its not my first time to go to see this site, i am browsing this web site dailly and get pleasant information from here every day.